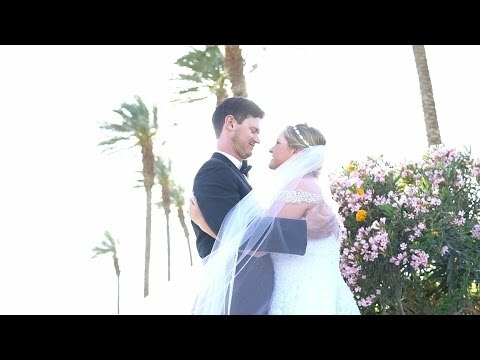 Sparkly décor, dresses, and details cast a beautiful prism of light over all the laughter and fun at Whitney and Ben’s Mountain View Country Club Wedding in La Quinta CA. The day started with relaxing games of golf for the guys, and pampering for the girls. The getting ready room was filled with jokes and fun. Special presents and letters between the bride and groom were carried back and forth too each other as they got closer to seeing each other in the wedding attire for the first time. Their dog, Lulu, also got special treatment during the day, getting to be dressed up in her own glitter dress. They decided to do a first look before the ceremony so they would have time for all the pictures beforehand, and more time to party at the reception. 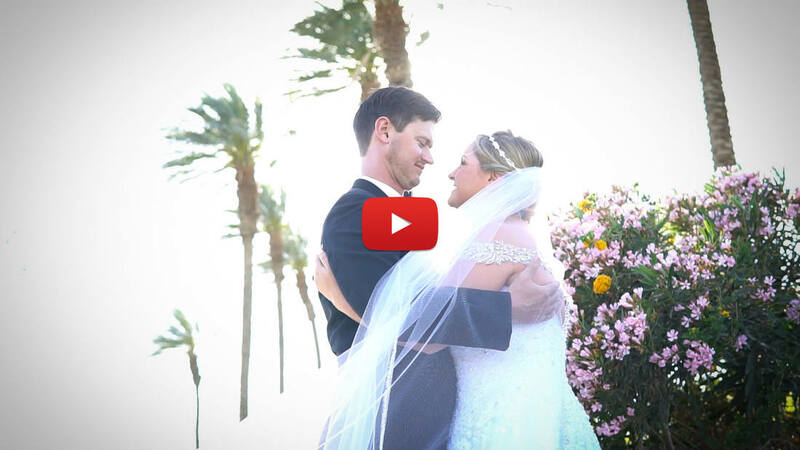 The ceremony took place on the golf course lawn with the majestic desert mountains as a backdrop to their ceremony. Their marriage vows were filled with true and realistic promises to be best friends to each other, and love each other even though neither is perfect. Many cheers came from the crowd as they were pronounced husband and wife and shared a kiss. The reception was filled with even more fun as everyone danced and partied late into the night. Congratulations Whitney and Ben! Keep laughing and partying together in your marriage!